Turkey's leaders have criticized the Organization of Islamic Cooperation and the group's Turkish secretary-general for not taking a stance against the violence in Egypt. Deputy Prime Minister Bekir Bozdag said Monday that Ekmeleddin Ihsanoglu should resign rather than lead an organization that remained inactive. Huseyin Celik, deputy chairman of Turkey's ruling Islamic-based party, criticized the secretary-general on his Twitter account over the weekend. 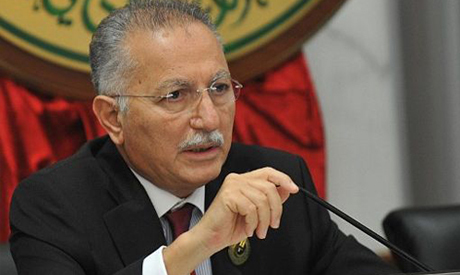 Ihsanoglu told Hurriyet newspaper that he has personally branded the events in Egypt an "atrocity" and "human rights violation" but that the 57-member OIC works by consensus. Turkey had backed Egypt's deposed President Mohammed Morsi and has strongly criticized his July 3 ouster as well as the violent crackdown on his supporters. Turkey and Egypt recalled their ambassadors last week as relations worsened.